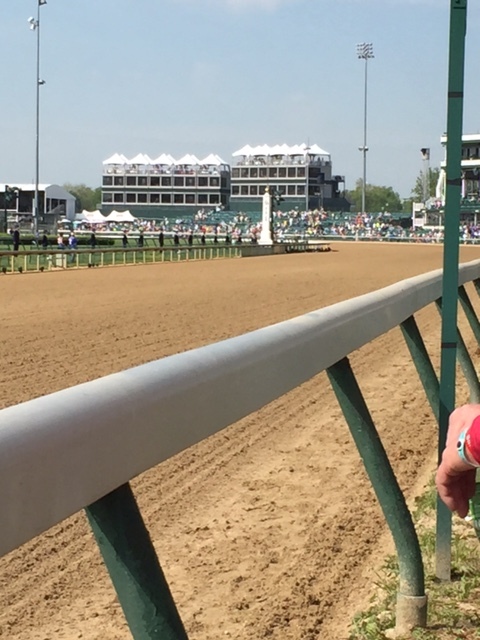 There are still so many stories and memories to share from the trip to last week’s Kentucky Oaks and Kentucky Derby. 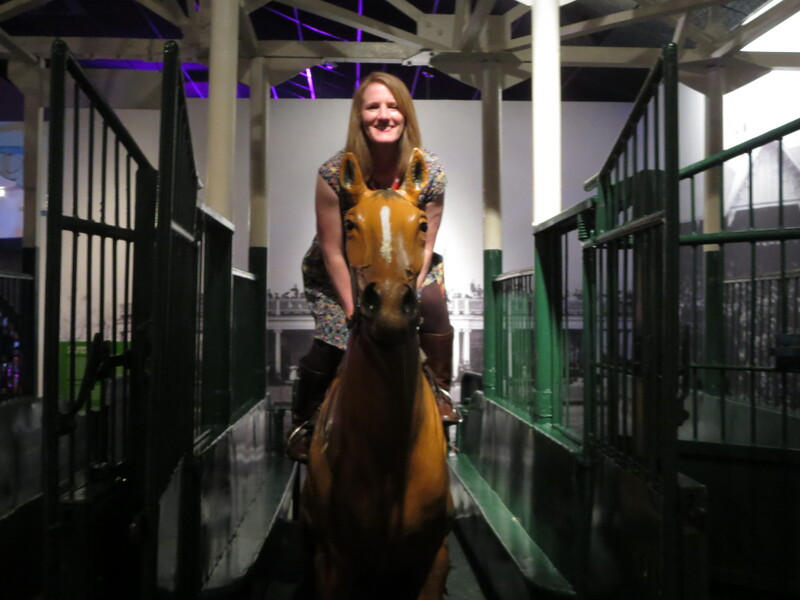 It was like a sensory overload at times for me – so many people and things to see, so many horses to watch, so much to soak in so I wouldn’t miss anything nor forget anything! I took a lot of pictures so I’ve decided to share some visual recaps in the hopes of bringing you a little closer to the fun of this amazing trip. The crowd near the grandstands. 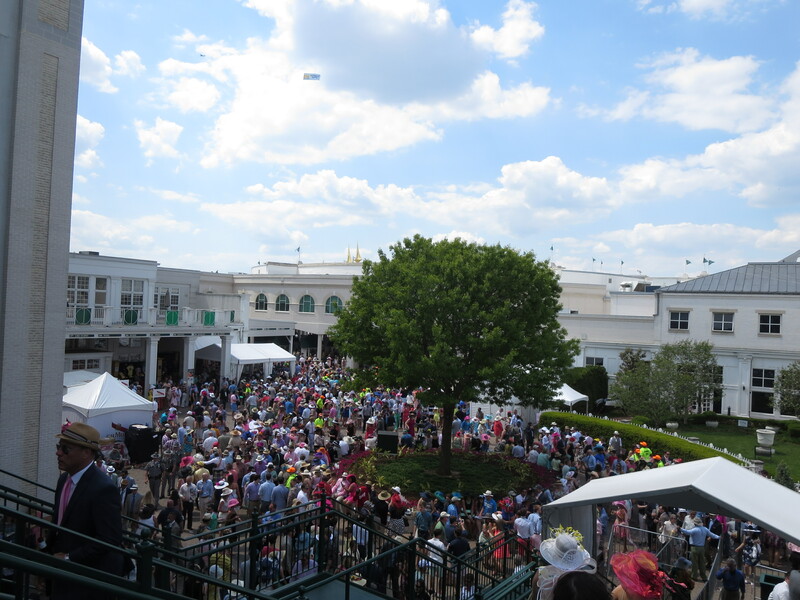 More than 150,000 attended the Oaks and 170,000+ attended the Derby. 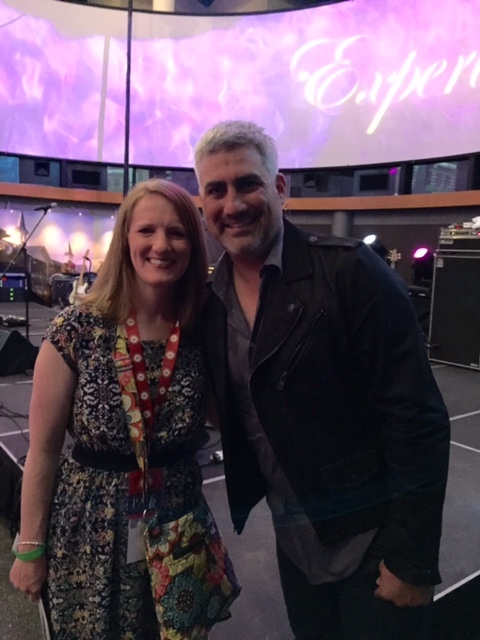 American Idol winner, Taylor Hicks, performed both days. A really nice guy! 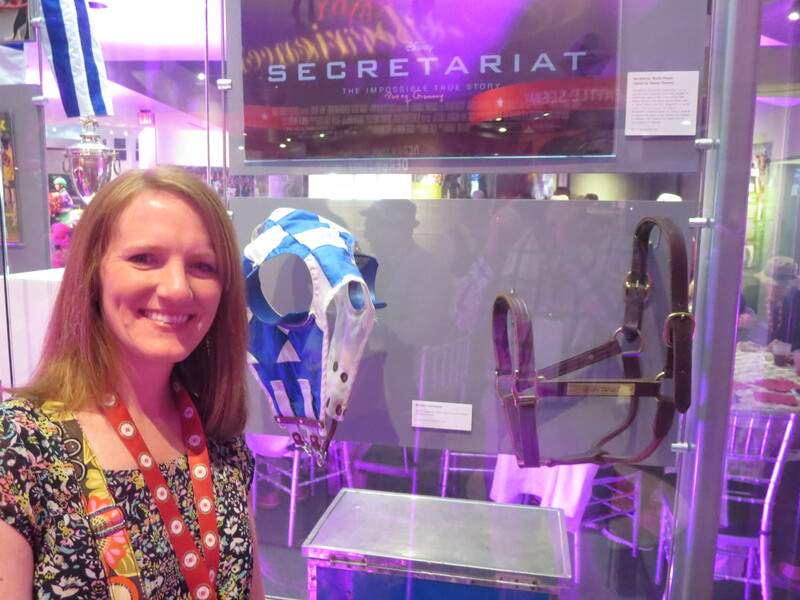 A very deserving display honoring the great Secretariat. 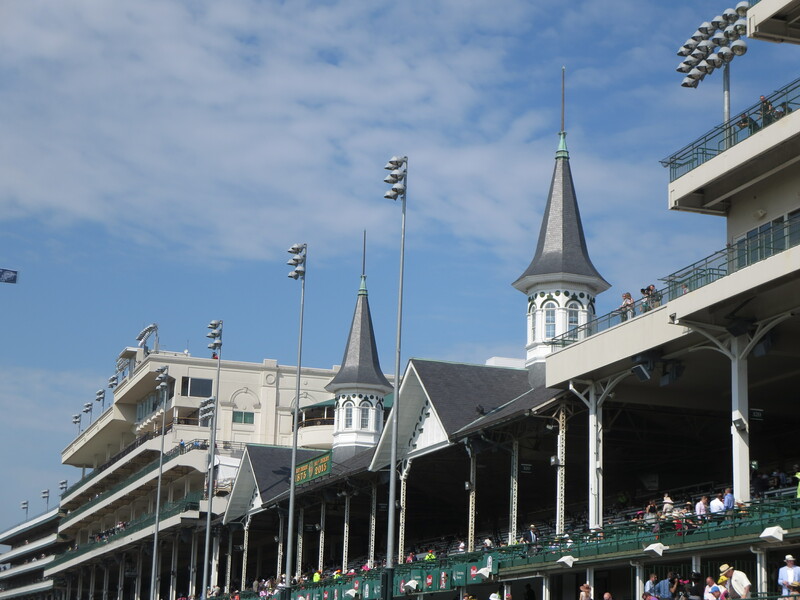 Beautiful Churchill Downs track waiting for the horses. 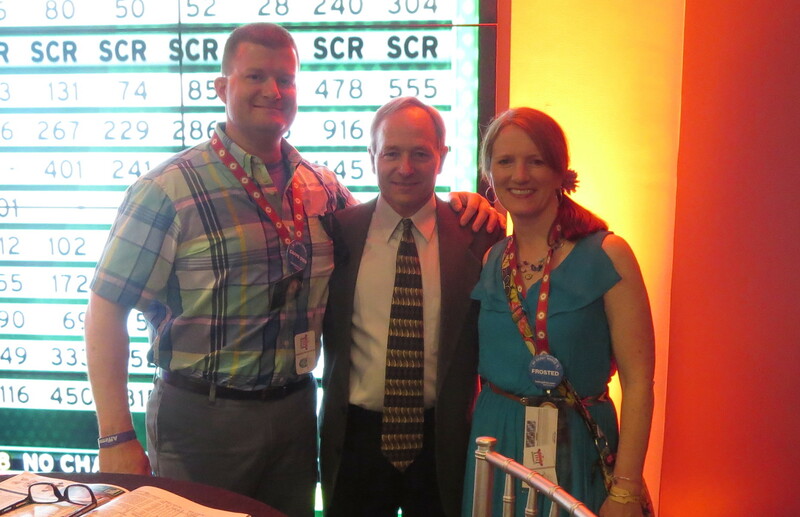 Talking with Steve Cauthen, jockey on 1978 Triple Crown winner Affirmed. 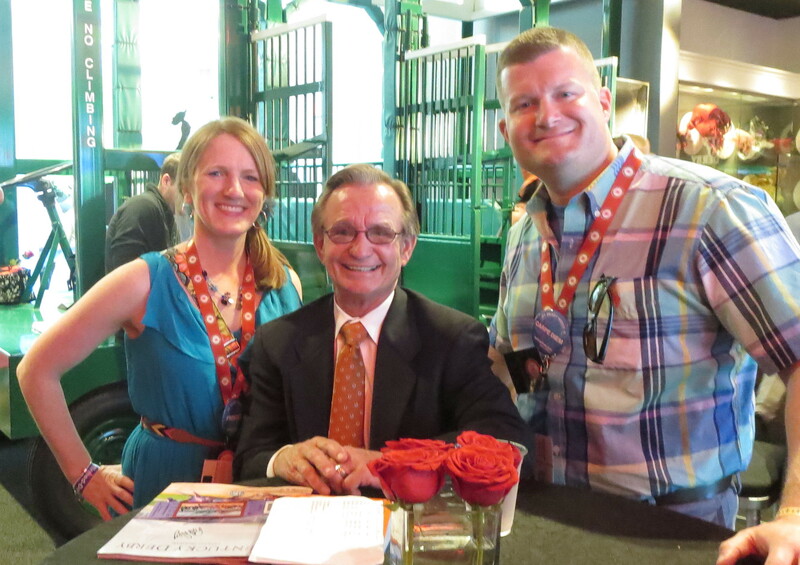 More time with Pat Day, Hall of Fame jockey and all-around nice guy. I hope you enjoyed the picture show and were able to get a feel for the excitement of the two days. 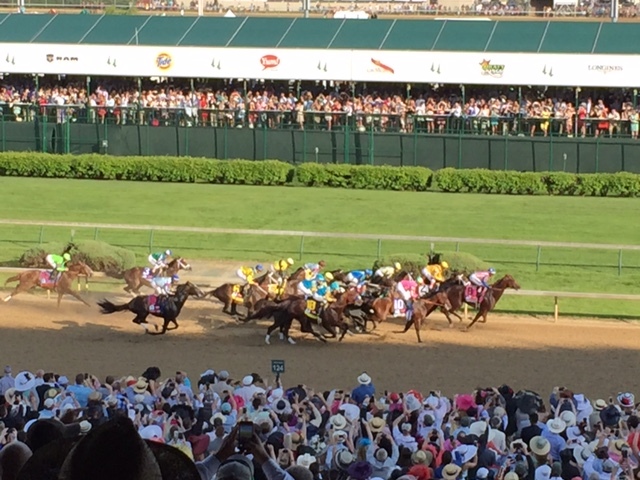 As a horse lover, I, of course, encourage everyone to experience these great races to witness history being made!